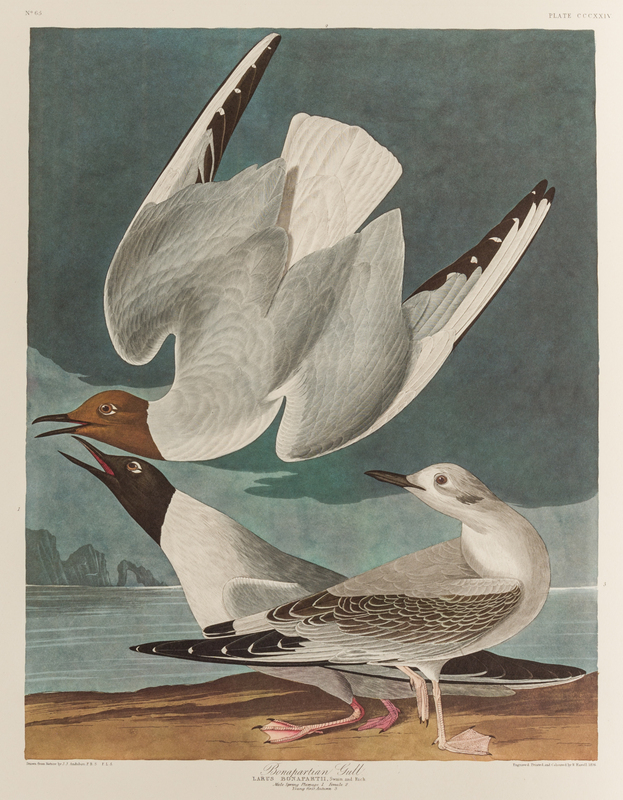 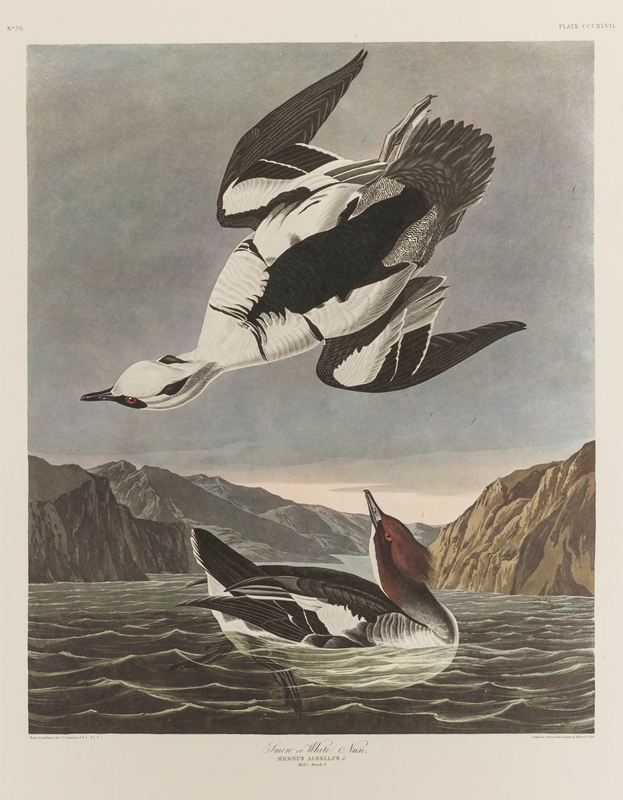 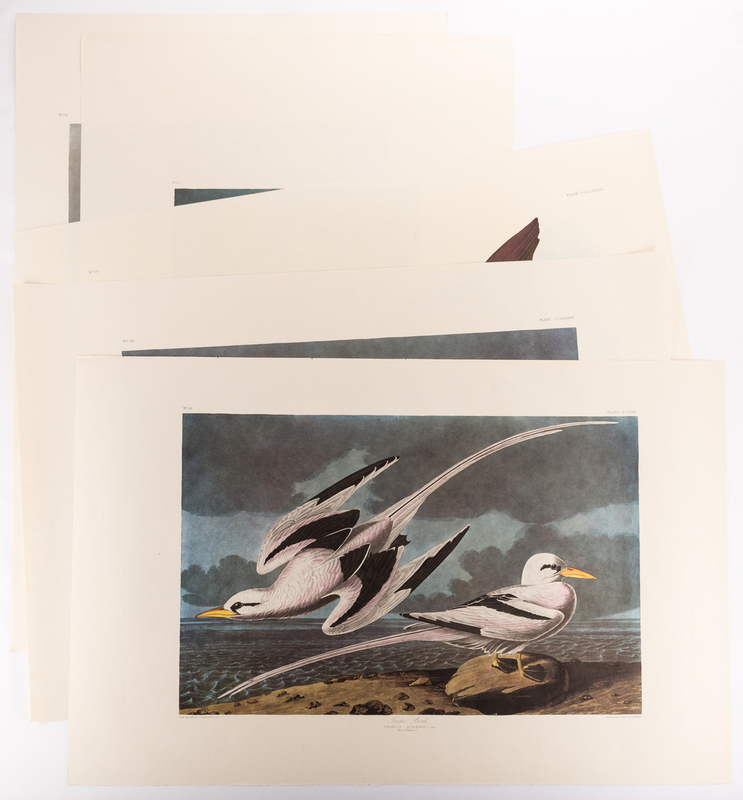 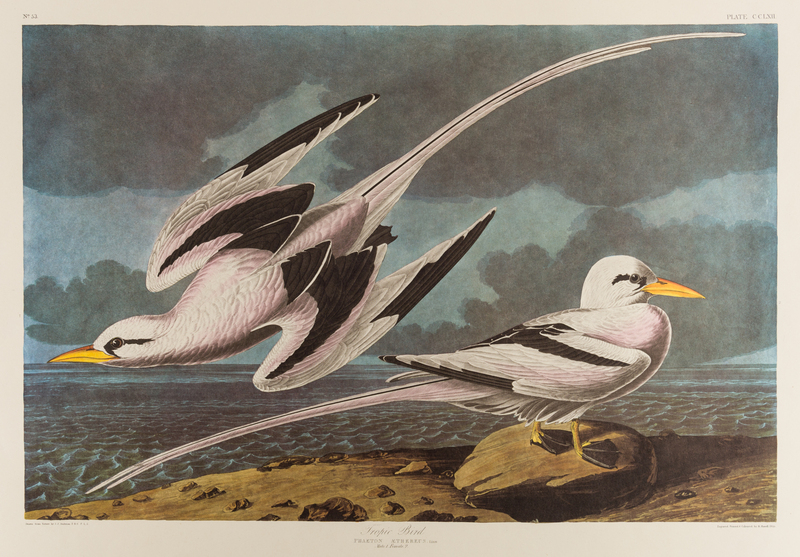 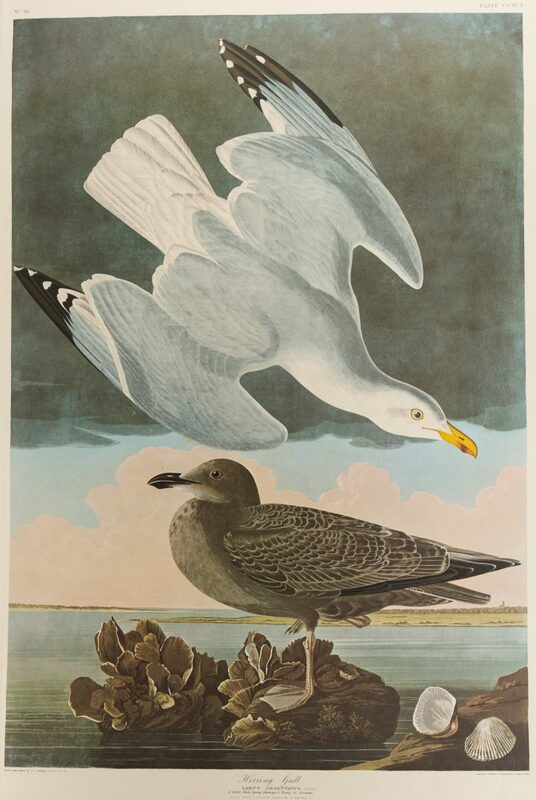 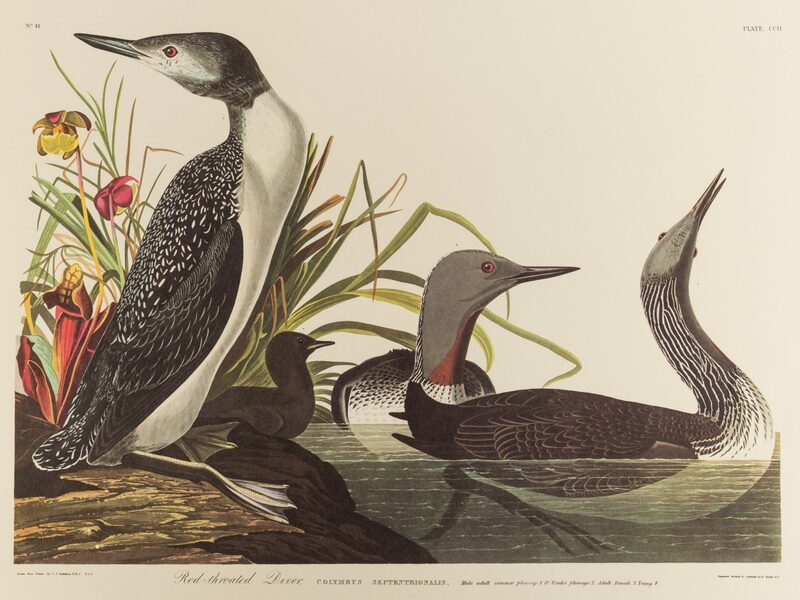 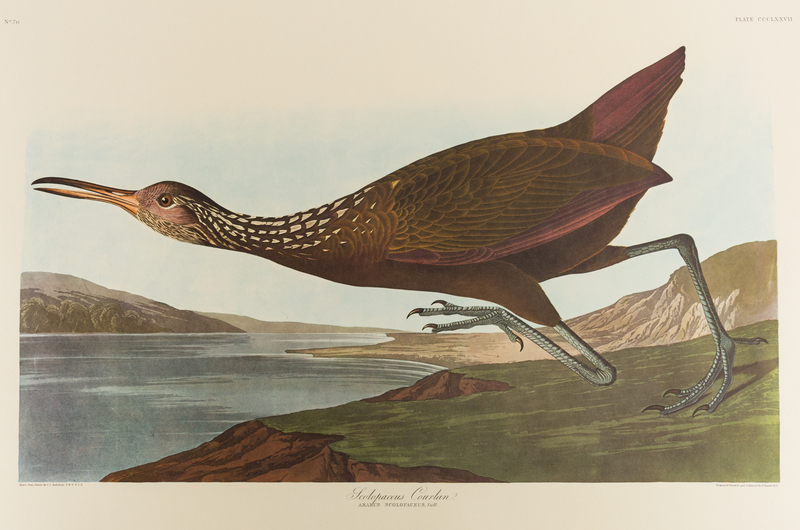 Collection of ten (10) Amsterdam edition John James Audubon (1785-1851) prints, printed in 1971 after the original Havell BIRDS OF AMERICA edition. 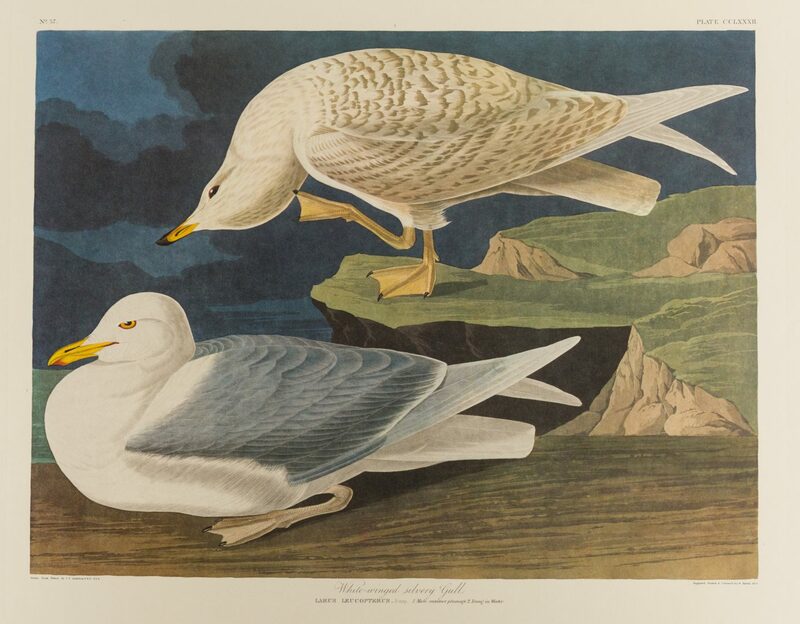 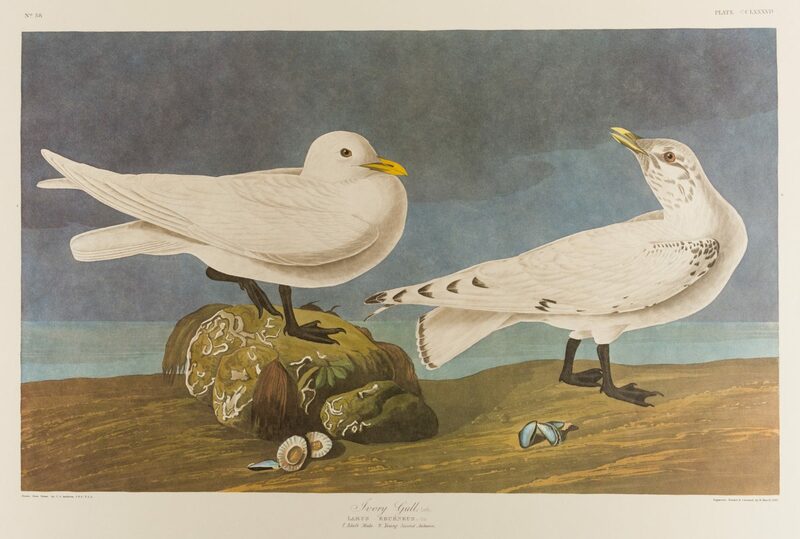 Plates and titles include #287 Ivory Gull; #347 Snow or White Nun; #346 Black-Throated Diver; #377 Scolopaceus Courlan; #262 Tropic Bird; #202 Red-Throated Diver; #272 White Winged Silvery Gull; #324 Bonapartian Gull; #301 Herring Gull; and #403 Golden Eye Duck. 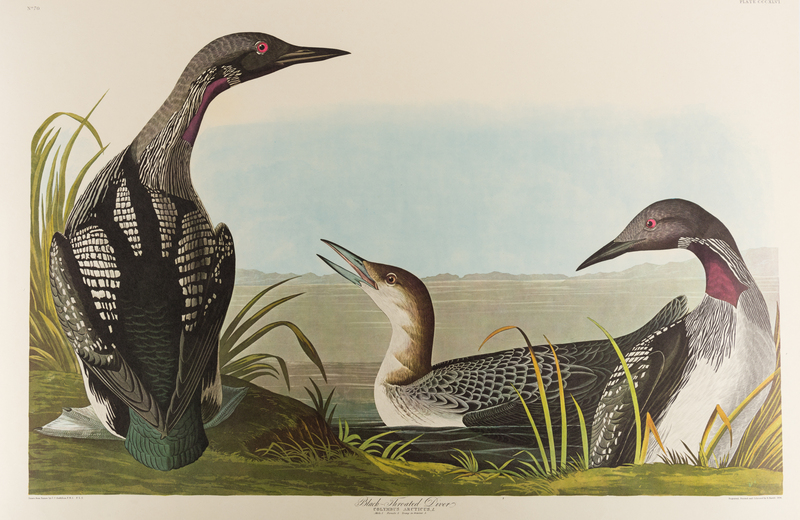 Watermark to each plate upper right corner. 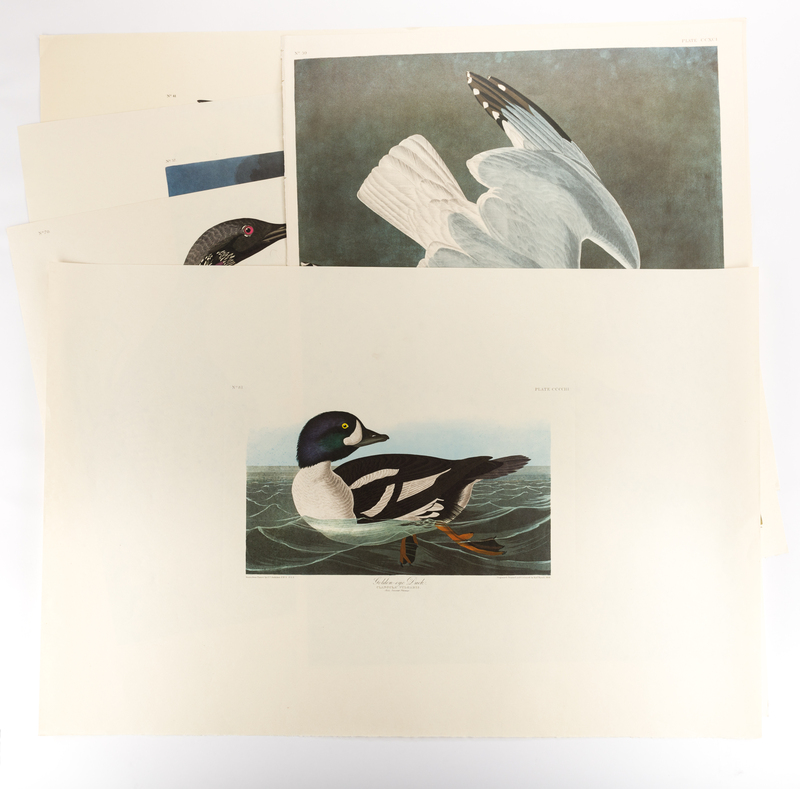 All unframed. 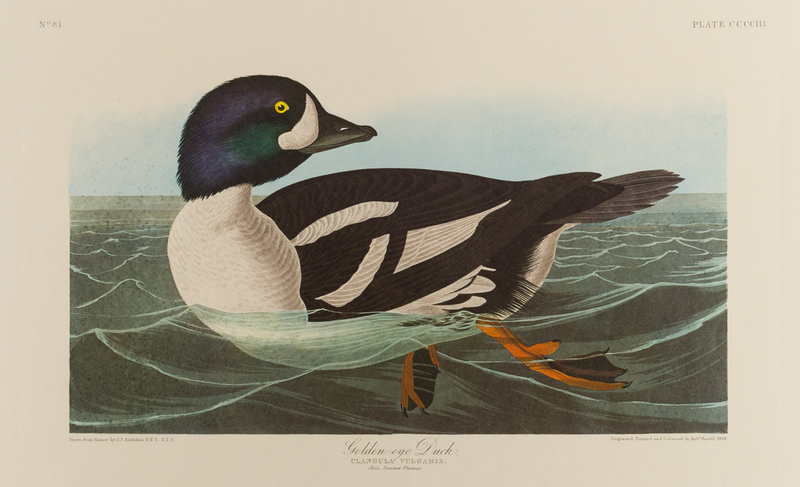 Each print – 39" H x 26 3/4" W. CONDITION: All overall very good condition, very minor overall toning to a few. Unframed.